Bertrand as he was discharged last week. Bertrand wakes up a lot at night. 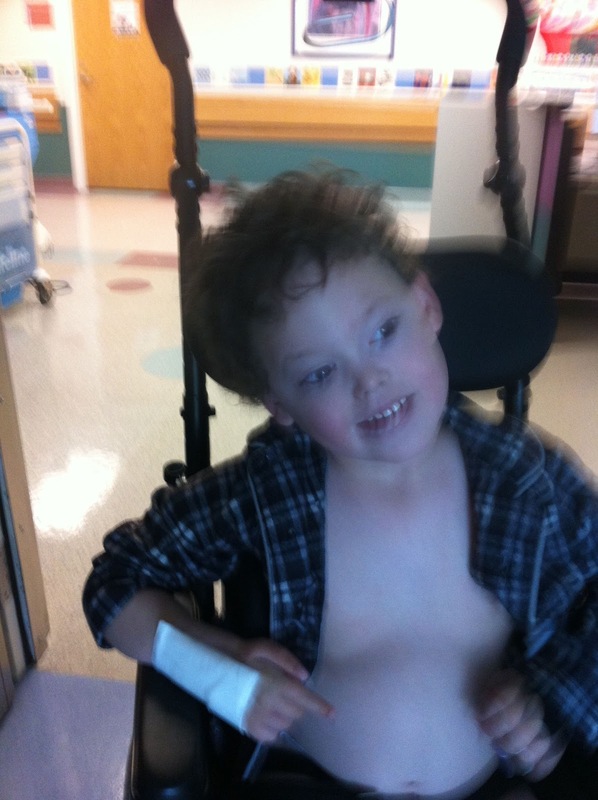 His prior sleep study was hard to interpret due to his epilepsy. However, it's believed that he may have some sleep apnea. He will be evaluated by an ENT since his tonsils are a bit large. If the doctor believes there is merit, Bertrand may get his tonsils removed. This may actually be easier and less costly than another sleep study. Despite having a referral, getting in to see the ENT has been a nightmare. I'll be going in person tomorrow. Odd but consistent with what others report on sleep studies. I wonder why an old fashioned apnea monitor at home cannot suffice - ? Hope he doesn't need surgery! But my then-4yo son had the surgery a few years ago for apnea also. It was a quick recovery and it cured the apnea!